Sometimes, as teachers, we forget that trainings are as much about ourselves as they are our students. This past week as I prepared to take Teaching Advanced Pranayama I was excited about what I would bring back to my classes to share. Now, on the other side of the training, Iʼm so grateful for the personal growth it provided for me as both a practitioner and teacher. I love this statement and I found that this Pranayama training truly did accomplish its mission. By looking back at ancient, renunciate yoga techniques, and applying them to todayʼs practice our energy, our “aliveness” skyrocketed. It seems obvious that taking in more breath would make us more energetic and alert; what wasnʼt obvious was just how much energy a simple change in breath patterns could provide. Pranayama is a powerful tool and not one to be taken lightly. The translation of Pranayama is usually along the lines of “to control that which is always moving.” In layman terms, Pranayama is the various breathing techniques we practice in yoga. Learning advanced practices such as Bhastrika or Bhramari was an amazing experience but most likely not one Iʼll be bringing into my general classes. The effects and intensity are just too much without a regular, deep Pranayama practice. What I will be bringing back to my classes is a newfound reverence and respect for our everyday yoga breaths – Dirgha and Uijayi. Uijayi isnʼt just the sound of an ocean wave, as Iʼve said so casually so many times in the past. Uijayi is an invitation; it can be an invitation to warm-up, to prepare to move or meditate. It can offer a deep channelling of energy. As a fellow trainee said to me in one of my harder moments, it is the sound of the wind through the grass. Ever present and ever strong. It can carry us through all our moments, on the mat and in the world. 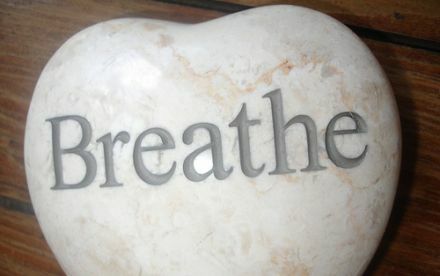 Pranayama magnifies what is already there and brings it to the surface so we are able to witness and understand it. Our asana practice allows us to create a strong container to support this act of witnessing. Together, Pranayama and asana prepare us for meditation. Each act a small piece of the entirety: our yoga practice. My favorite takeaway from the training is this quote from William Hufschmidt, “The inferior teacher tells you what is wrong and offers to fix it. The superior teacher shows you whatʼs right and offers to help bring it forth.” This is something I hope to remember in every class I teach from this day forward. My next stop on the road to 500 is Pranakriyaʼs Medical Module on March 2. It will offer ways to combine medical knowledge with intuitive healing. I look forward to sharing more about this practice in my next blog post. Interested in starting your own journey? 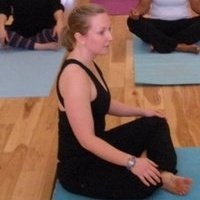 Pranakriyaʼs next 200 hour yoga teacher training program starts July 20th and registration is going on now! 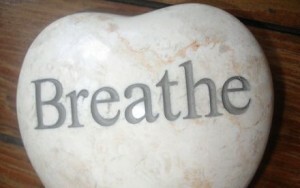 Advanced Pranayama | Atlanta Yoga Scene”. Thanks for all the information.